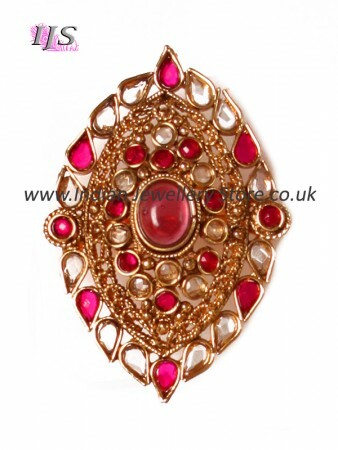 Indian ring in 22k gold plate with mild antique and fuchsia pink. Set with polki stones. Mughal jewelry inspired Indian ring. 1 off statement jewelry. This ring is fully size adjustable, so one ring fits all sizes. Decoration dimensions: width 3.8cm, height 5.5cm.